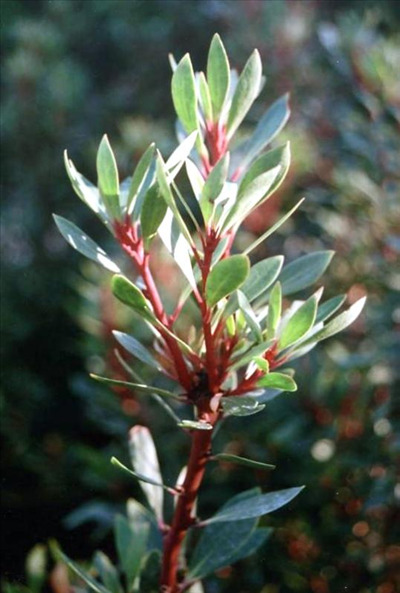 Handsome rounded shrub 6' x 6' with dark green shiny leaves and red stems. White flowers appear in early summer followed by black fruit. Plants prefer well-drained soils in partial shade to full shade and are hardy to frost (20-22F). These showy shrubs make an excellent hedge although I found them to be rather slow growing. They grow best in northern California and further north in Oregon & Washington. All parts of the plant are very spicy (hot) and are used in cooking. Interesting foliage plant.